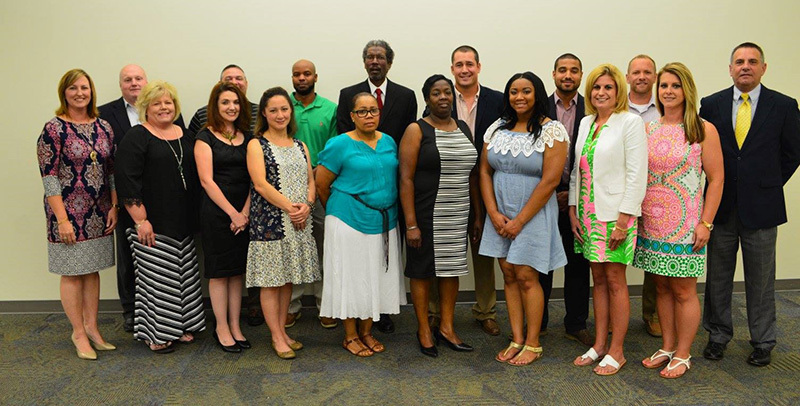 The Anson County Chamber graduated its 22nd class of community leaders on Monday, June 11th, as part of its Leadership Anson program. 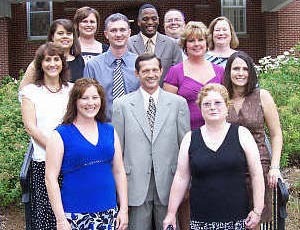 To celebrate the graduation, the class participants hosted a graduation ceremony at Twin Valley Golf Course. The evening included a buffet style meal served up by Clarence at Crisp Café; located in the Twin Valley Golf Course Club, speeches; shared memories and of course plenty of photo opportunities. 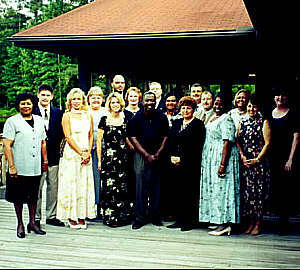 Leadership Anson, a six-month program that nurtures and engages the leadership skills of potential and current community leaders, deepens participants’ understanding of Anson County, its issues and opportunities, and encourages graduates to take active roles as stewards and advocates for positive change. 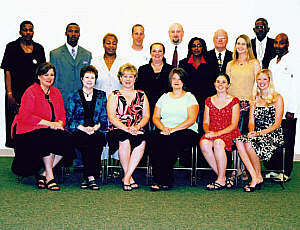 Since its start in 1996, Leadership Anson has graduated more than 250 community leaders. Pictured: Fourth row, left to right: Jeff Earleywine, South Piedmont Community College; Brandon Chewning, Wadesboro Police Department; Ricky Little, Anson County Sheriff’s Department. 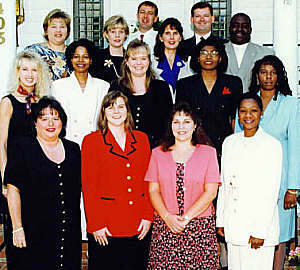 Third Row, left to right: Shelby Emrich, Chamber of Commerce; Renee Little, Hornwood Inc.; Rosemary Broadway, Cobb-Vantress; Olia Storz, Anson County Schools. 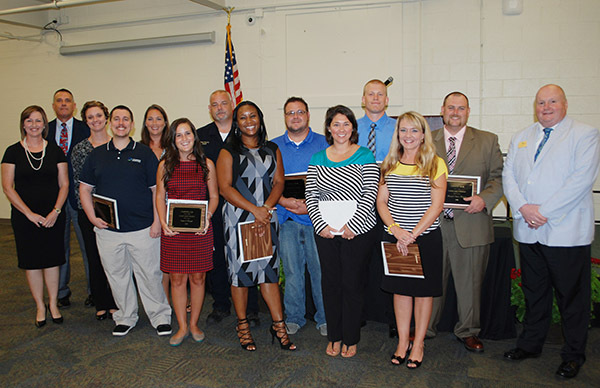 Second Row, left to right: Ashley Benton, South Piedmont Community College; Megan Sellers, Anson County Chamber of Commerce/Economic Development. 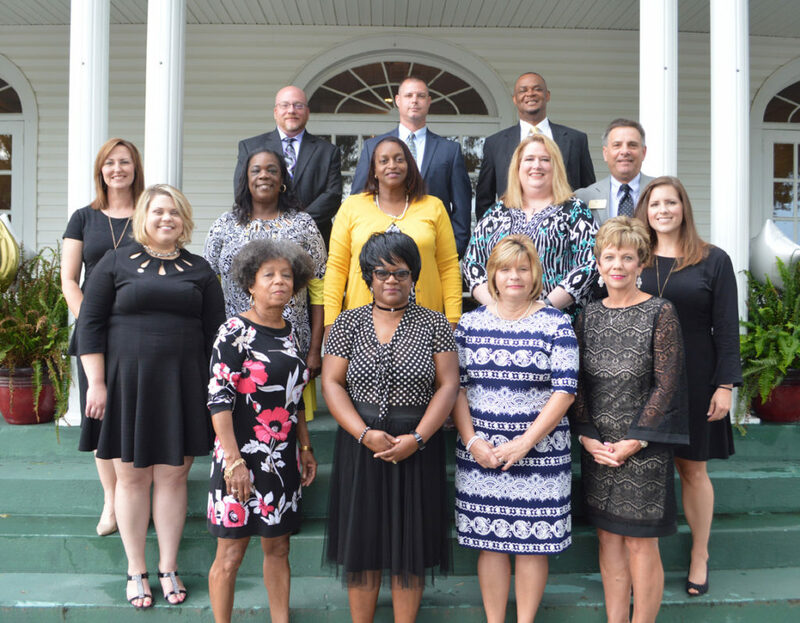 Front Row: Melanie Countee, The Dream Inn; Shirley Crowder, Anson County School; Karen Gerald, Anson County Partnership for Children; Kay Randall, Anson County Schools. 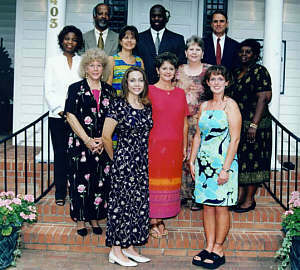 Leadership Anson is a complete learning program to develop community leaders from all walks of life. 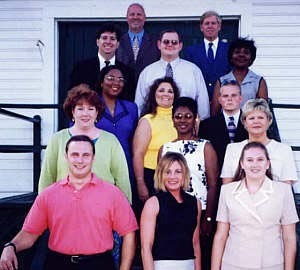 The program accomplishes this goal by giving the participants a broad base of knowledge about Anson County; developing the skills of leadership in each individual participant; creating opportunities to work with other community leaders; and building within participants a strong commitment to community service. 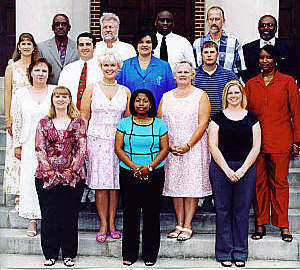 Anyone who is an Anson County resident or who works in the county is eligible. 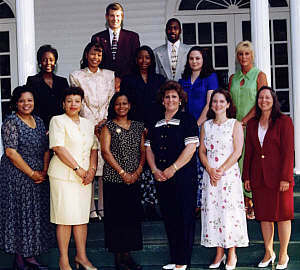 The selection of class participants is based on the applicants’ community interests and involvement, leadership potential, accomplishments, and the ability to assume expanded responsibility. The Leadership Anson tuition fee is $400; the fee includes the cost for all materials, lunch each session, refreshments, and transportation for field trips. 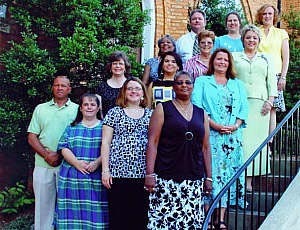 Leadership Anson scholarships may be available. 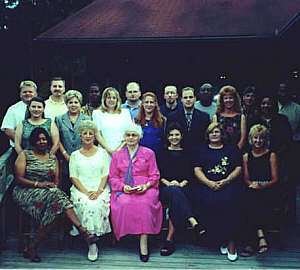 Leadership Anson has graduated 227 participants since its Charter Class in 1997. For more information and/or an application, call 704-694-4181. 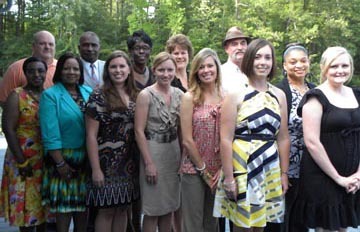 2017 Leadership Anson Class: Front Row Left to Right Shelby Emrich, Anson County Chamber of Commerce; Dale Rivers, Anson County Schools; April Watkins, South Piedmont Community College; Aimee Colf, Anson County Cooperative Extension; Jackie Rubio, Anson County Health Department; Anita Sturdivant, Hornwood, Inc.; Alexandra Harrington, Anson County Partnership for Children; Jennifer McLaurin, Anson County Schools; Pam Gathings, Anson County Schools; Scott Collier, Program Facilitator, South Piedmont Community College; Back Row: (Left to Right) Scott Rivers, Program Facilitator, South Piedmont Community College; Brian Tice, Anson County Sheriff’s Department; John Willoughby, Town of Wadesboro; Julian Swittenberg, Uptown Wadesboro Inc.; Kyle Eudy, Uwharrie Investment Advisors; Rashaun Durden, South Piedmont Community College; Josh Bricker Uwharrie Bank. 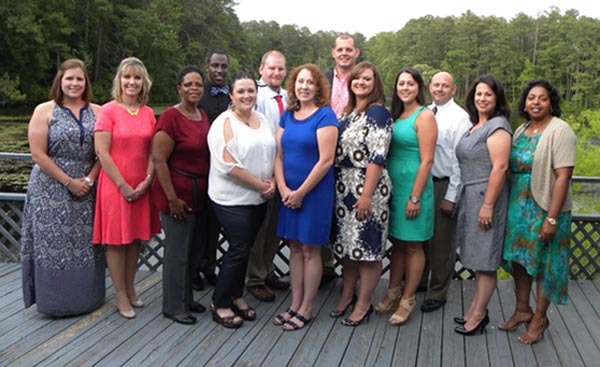 The Leadership Anson (LA) 2015 program enjoyed its 19th graduation ceremony on June 16th in the Community Room of Carolinas HealthCare System Anson. Front Row (l-r): Katie Ingram, Anson County Wastewater Treatment Facility; Jodi Davis, Anson County Schools/Anson New Tech High School. 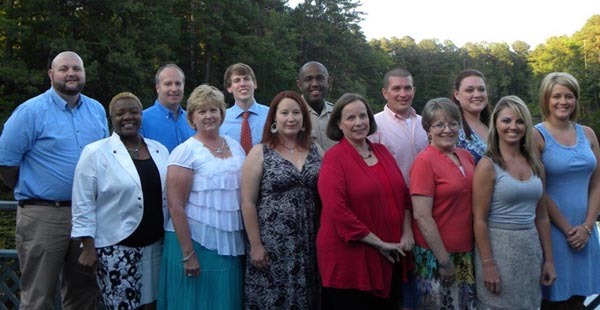 Second Row (l-r): David Jenkins, Anson Community Hospice/Richmond County Hospice Inc.; Caroline Goins, Anson County Partnership for Children; Rob Efird, Hornwood Inc. 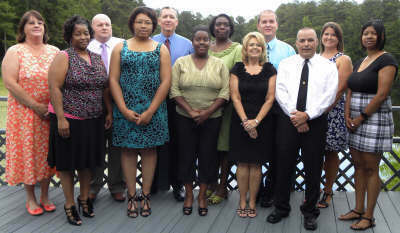 The Leadership Anson (LA) 204 program enjoyed its 17th graduation ceremony held June 11th at Welika Lake Fish House. 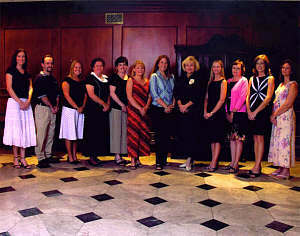 Front Row (l-r): Megan Sellers, Anson County Partnership for Children; Jennifer Ricketts, SPCC; Tammy Henry, Anson Community Hospital; Dawn McElroy, Anson Community Hospital; Ginger McLain, SPCC; Emily Trexler, SPCC;Kari Eudy, Carolina Title Company, Inc.; Sarah Hutchinson, Anson County EMS; Burnelle Sturdivant, Anson County Jail. Back Row (l-r): O’Brian Willoughby, Hornwood, Inc.; Jason Miller, SPCC; Jeremy Taylor, Plank Road Realty; Steven Kelly, Wadesboro Police Dept. 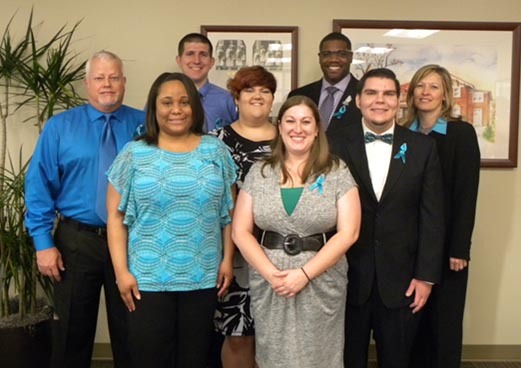 Back Row (l-r): Brian Nance, Anson County EMS; Truman Teal, API Security; Alex Sewell, Town of Wadesboro; Damer Chapman, Anson County Sheriff’s Office; Wes Stegall, Anson County EMS; Holly Mullis, Anson County Sheriff’s Office; Ashley Steele, Anson Community Hospital, Jermaine Alston (not pictured). 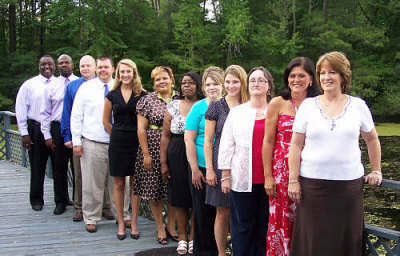 2011 Graduates, front row, left to right, are Andrea Cash, Pee Dee Electric; Lakeischa Tillman, Anson County Partnership for children; Brenda Huntley, Anson Community Hospital; Kelly Gaddy, Carolinas Primary Care; and Brett Blalock, Anson County EMS. 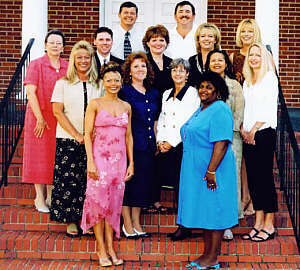 Pictured back row, left to right, are Susan Poe, Valley Protein; Scott Rivers, South Piedmont Community College; Sam Jones, Wadesboro Police Department; Vivian Wallace, Anson Community Hospital; Toby Carpenter, South Piedmont Community College; Ginger Phillips, Anson County 9-1-1; and Traquita Little, Britt Insurance Agency and HOLLA!